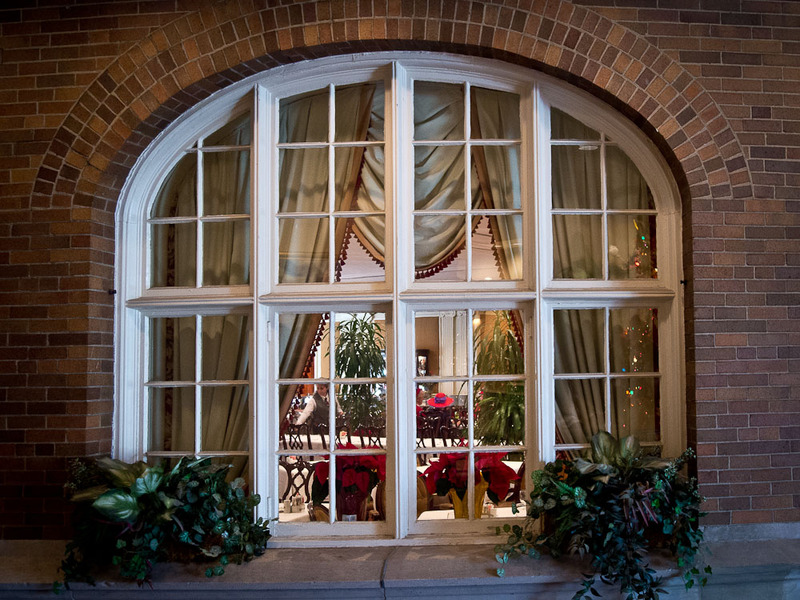 As my granddaughter Molly and I were walking through the main lobby of the Hotel Roanoke looking at all the beautiful Christmas decorations recently, we spotted a group of ladies in the hotel’s main dining room eating lunch together. They each wore red hats and if you look closely you can see one in the middle. Obviously not being a part of this tradition, it’s my understanding that these usually older ladies gather for lunch in cities and towns across America while wearing various sorts of “red” hats…most being of a kind hardly seen elsewhere. Not wanting to go inside the dining room and make a nuisance of myself taking pictures, I just looked through this window while standing in the hallway and got the scene I wanted.